- let's look at testosterone levels. Men produce roughly 16 times more testosterone than women. Obviously, this varies between each person but there is a significant difference between men and females. Even if you are a female with high levels of testosterone it's never going to be as high as the one of men. This does not mean that it is extremely easy for men to gain muscles. If you haven't noticed, men work so hard to gain muscles. If men with these high levels of testosterone levels work extremely hard to acquire muscles imagine what the possibility is of a woman getting bulky? Now another thing that some girls say is: "I don't want to have muscles, I'm only trying to lose weight." Well good luck trying to lose weight without lifting any weights. This is extremely difficult. Half an hour on the treadmill and on the exercise bike is not going to be enough to lose weight. If you don't lift weights then you won't have a lot of lean muscle. You need lean muscle as it increases your metabolism. The more muscles you have the more calories you burn and this is without you putting any extra effort in, muscles just keep burning calories, 24/7. Yes even when you're sleeping ladies! So actually to evaluate the statement, the quickest way to lose weight is by gaining muscles as they will burn the calories for you and therefore make you lose weight! So girls don't worry about the misconception that a lot of women believe in and avoid gym because of this. You are missing out! 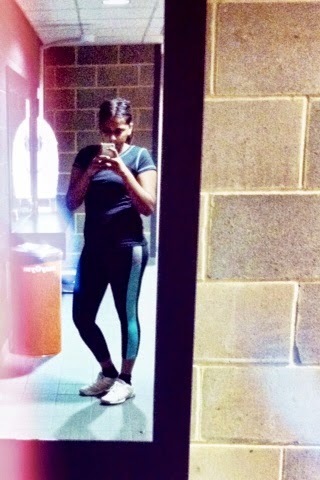 Oh and I've successfully survived my first 7 workouts at 6AM, yay!